The smell of burning leaves in the fall. July fireworks in Detroit or over one of Michigan’s many lakes. The return of baseball in the spring reminding us that, though it may still feel like winter most days, summer is right around the corner. Driving on snowy roads with people who know how to drive on snowy roads. Michigan lefts: If you miss your turn, there’s always another one soon after. 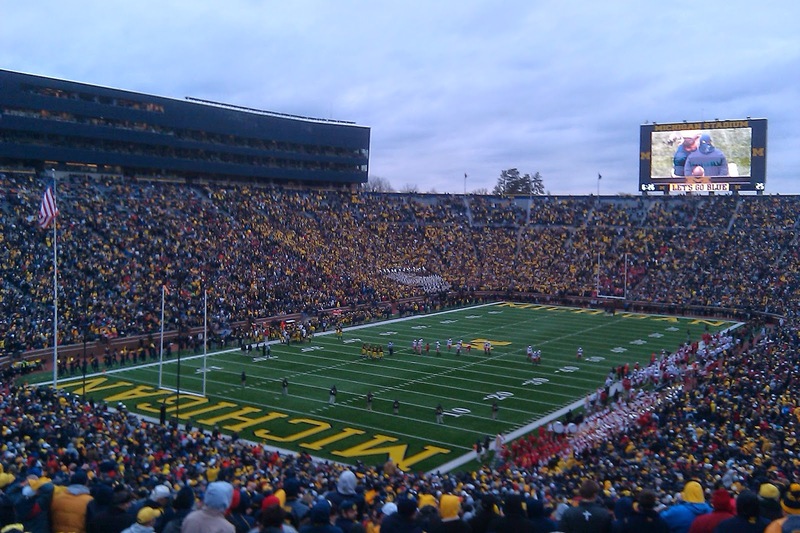 College football: Tailgating, traditional rivalries, school colors, cheers that go back generations, the marching bands, and watching athletes compete in real football weather. 55 degrees outside meaning shorts and a t-shirt. Small towns connected by lazy drives on country roads. In Michigan, these places still exist. Dusting off the snow before coming inside to warm myself near the burning embers of a fireplace while sipping hot chocolate or coffee. The sun refusing to go down until after 9:00 p.m. in the summer as if it loves Michigan summers as much as I do. The stoic resolve of Detroiters old and new: After hearing “Detroit is dead” for decades, Detroit still is alive and kicking. Sitting around a bonfire on a cool, crisp summer night in the U.P. while roasting marshmallows. The first few weeks of the NFL season when my fellow Lions fans are filled with false hope, unless the team puts us out of our misery early (next year is always a year away). 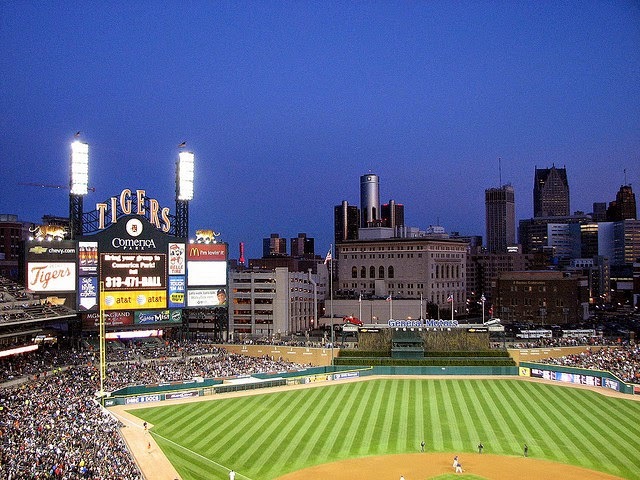 A Tigers game on a hot summer night with Detroit’s skyline towering over the outfield. Falling asleep on a summer night to the light whisper of Lake Huron’s waves as they land on the shores of Cedarville Bay. The red, orange, and yellow leaves of autumn hovering above until they color the ground like modern art. Coneys, pizza, Polish food, Middle Eastern food, and the many new restaurants that are popping up throughout Detroit. Geese flying south for the winter like retirees on vacation, but they too will return in warmer months because Michigan is still home. Fresh Michigan corn. A backyard barbecue is only as good as the freshly bought corn on the cob from a farmers market or roadside stand. Campus Martius in the winter and the RiverWalk in the summer. 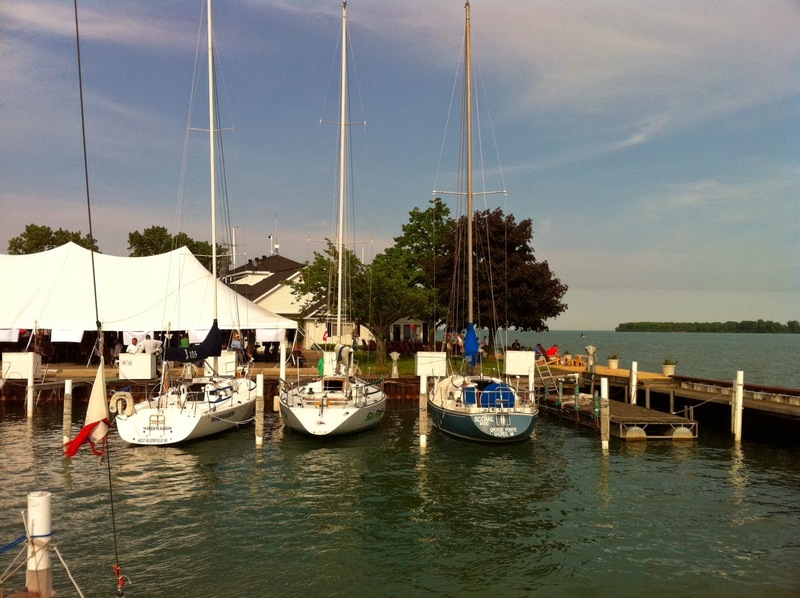 Fresh water: On Michigan’s soil, I am never more than 85 miles from one of the Great Lakes, but Lake St. Clair and many inland lakes and rivers bring fishing, boating, and swimming even closer to home. And not once do I worry about sharks. A run through the woods in the snow at night with the cold air burning my lungs. The stars and moon lighting my way. The Mackinac Bridge: An engineering marvel connecting our two peninsulas. In a car, soaring over the Straits of Mackinac as only birds once did. The beer. Other than Bell’s or Founders, it’s hard or impossible to find many other brewers’ beers sold outside Michigan. Plus, Michigan has so many good brewpubs throughout the state. Cider Mills: As autumn cools the air, a warm donut and a hot cup of cider satisfy the stomach and soul. As someone who moved to Michigan from the UK, all these things totally make up my new home and I love everything Michigan has to offer. We always head to the Kensington Metropark for the July 4th fireworks - always so good! I wish I could agree about the geese leaving for winter, but many in the Detroit suburbs, yeah they stay here all the time it seems! Thanks for you comment, Rachael. I am happy you love Michigan. I guess those geese must really enjoy the cold weather.